If you’ve got the time time to give me some new feedback for the website, new name, or the rebranding of Twist Media… I’d love to hear from you. Either put your comments here, or send me an email. I entered a few custom toys into Villain‘s Do Me! 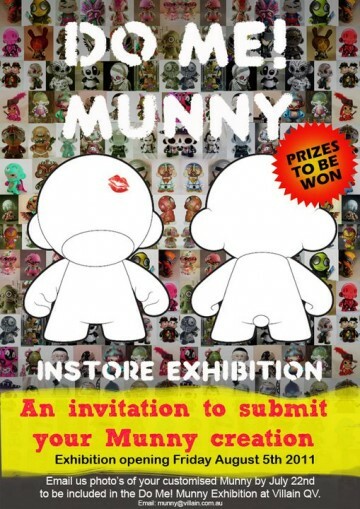 Munny show which started earlier this month. They should be there for another week or two, so if you’re in Melbourne and looking for something to do – then head to their shop in QV (Jane Bell Lane) and have a look at the window display. I’m still yet to make it there myself but I plan on getting there this week some time with my camera and will put up some photos then. The toys that you can find there are the Birdman, the Yak, and the Zebra.